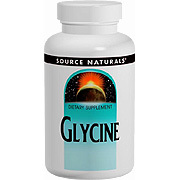 Glycine is a non-essential amino acid that has one of the simplest structures of all the amino acids. 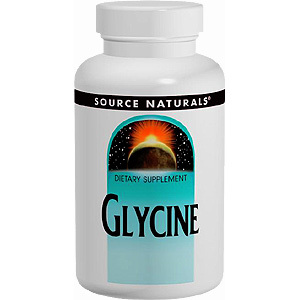 Glycine is found in proteins of all life forms, and is important in the synthesis of proteins as well as adenosine triphosphate (ATP). Two capsules, 1-2 times daily, or as recommended by your health care professional. Warning: CAUTION: If you are pregnant or breastfeeding, consult your health care professional before using this product. If you have kidney or liver disease or are anuric, consult your health care professional before using this product. Glycine 1gm - 200 caps is shipped in a discrete, unmarked package. Orders are processed immediately and usually take about 3 to 5 working days to be received. We do ask that you try it for 2 to 3 weeks to feel the full effects. Any information received is used only for order processing and shipping purposes. Your information, such as e-mail address, will never be disclosed to a third party.